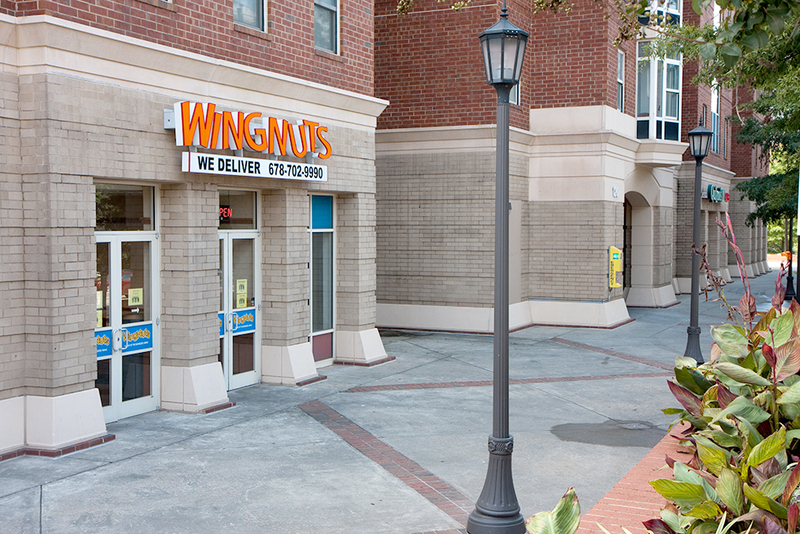 Tech has a large variety of food options for students, with several different restaurants in walking distance of campus. Here are just a few places where you can get a quick, delicious meal. The eatery, located on Marietta Street near the Engineer’s Bookstore, also delivers while staying open until 11:30 every night. Satto Thai and Sushi: On West Campus near the Engineer’s Bookstore, Satto Thai and Sushi offers Thai and Japanese food at an affordable price. The perfect place for a date night or a night out with friends, the restaurant’s décor helps create the pleasant atmosphere. Known for the Pad See Ew and the Thai Iced Tea, the establishment has lunch specials until 3 p.m.
Raku: Raku Tonkotsu Ramen, a fairly new restaurant gracing Marietta Street, serves ramen noodles in a steamy, tasteful broth while completely upgrading the stereotypical college ramen experience. Although the parking generally tends to remain crowded, the restaurant is in within walking distance of Tech so students can easily access the fresh Japanese food. Since ramen restaurants tend to be a rarity in Atlanta, Raku undoubtedly fills this void. Thumbs Up Diner: Also located on Marietta Street, Thumbs Up Diner is “where breakfast is always served.” With regular customers frequenting the establishment weekly, Thumbs Up Diner’s build your own breakfast plate or omelet specials seem to be a consistent favorite. New customers must be aware that the diner is cash only, but there is an ATM located on the restaurant’s premises. Open at 7 a.m. on the weekdays and 8 a.m. on the weekends, Thumbs Up Diner definitely embodies a friendly ambience. Silver Skillet: Established in 1956, the Silver Skillet serves up traditional Southern breakfast in an old-timey fashion. They serve diverse breakfast platters, sandwiches, and sides. The restaurant is located on 14th Street, but the slightly long walk from Tech is well worth the journey. Since the eatery epitomizes Southern charm, individuals should not be surprised if there is a line out the door. With delicious corned beef hash and skillet country ham, the Silver Skillet also has been featured in multiple movies and the famous “Diners, Drive-Ins, and Dives” on the Food Channel. Mary Mac’s: Another restaurant characterized by Southern charm, Mary Mac’s is officially declared Atlanta’s Dining Room. With traditional Southern dishes, such as fried okra and Georgia peach cobbler, the restaurant offers a complimentary Pot Likker cup to first-time visitors. Throughout the restaurant, individuals will see various pictures of celebrities and public figures lining the walls further affirming the restaurant’s popularity. It is the perfect place to take parents, specifically out-of-towners, for a taste of Southern cuisine.